One of our favorite things about House of Boom is their commitment to providing a safe environment for our kids! Another thing we love about them is the broad collection of activities they offer. 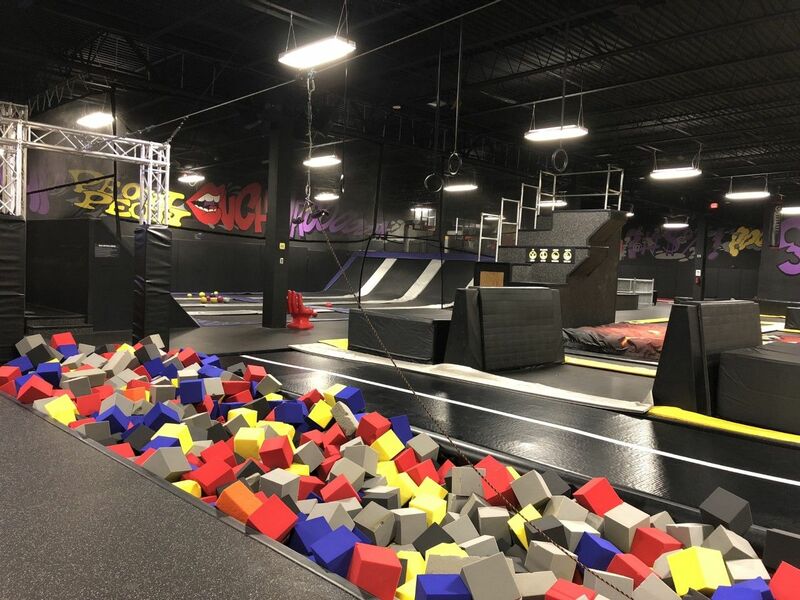 From the new Ninja Obstacle Course to the Extreme Dodgeball arena, they have something for everyone to enjoy. Today, we are especially loving the foam pits! Do your kids love practicing tricks at House of Boom? The foam pits are the perfect place to practice aerial tricks and enjoy the freedom of flying through the air! The soft cushion of the foam cubes provides a safe landing space for all of the creative moves your kids can dream up! As moms, that's something we really appreciate. If they are looking for some new inspo, show them some of these moves! The article provides pictures and step by step instruction for each trampoline trick. Some of these moves can benefit you too, Mama! The trampolines are a great place to work on your balance, core, and strength! Next time you're at House of Boom, show your kids how they can use the foam pits to practice their skills. They will have a blast and you can rest easy knowing they'll land safe and sound!